African Sky Hunting Adventures invite you on an unforgettable hunting safari in the countries of South Africa, Namibia or Zimbabwe. 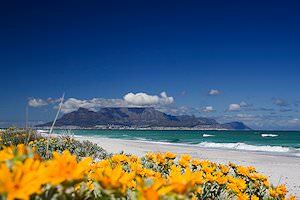 African Sky Hunting Adventures (Pty) Ltd is based in South Africa. Our team has been providing quality hunting and photographic safaris for many years. The professional hunters are experienced in pursuing the Big Five as well as the plains game of Southern Africa . All of us, from the office staff to the camp staff and professional hunters, are committed to making your African hunting safari a memorable one. We offer both rifle as well as bow hunting safaris. 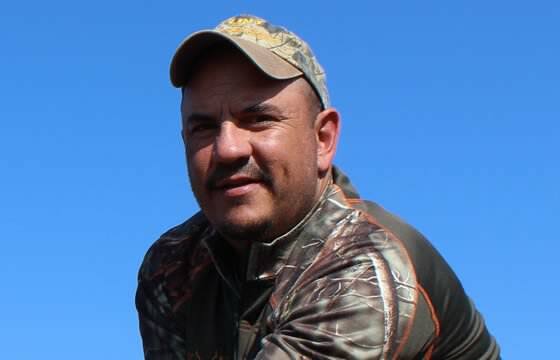 Alex is a veteran hunter with almost twenty years' experience in pursuing the plains game and dangerous game of Africa. He has hunted extensively in all the countries of Southern Africa, particularly in South Africa and Zimbabwe. Nico grew up in the bushveld surrounding the Rust de Winter Dam. 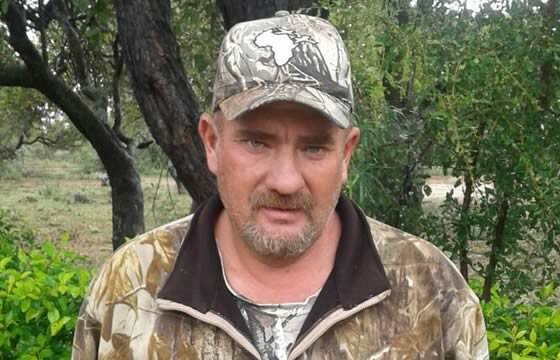 He has been involved in professional hunting and game farm management for almost two decades. He boasts outstanding knowledge of animal behavior, rifles, and hunting. Born and raised in the bushveld, Eduard studied Game Ranch Management after school and then went to Mozambique to primarily hunt Big Game. Even with 17 years of hunting experience, for Eduard, each hunt is novel and thrilling. His favorite game pursuits are buffalo and hippo. 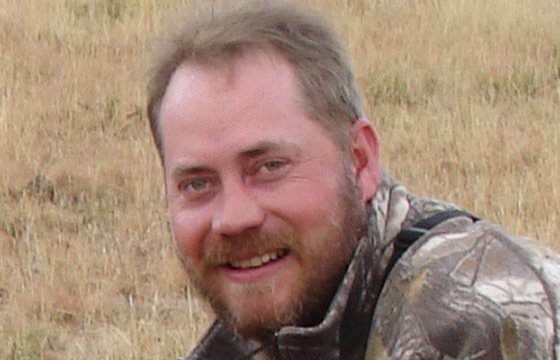 Kobus's upbringing on a cattle farm fostered his passion for the outdoors. 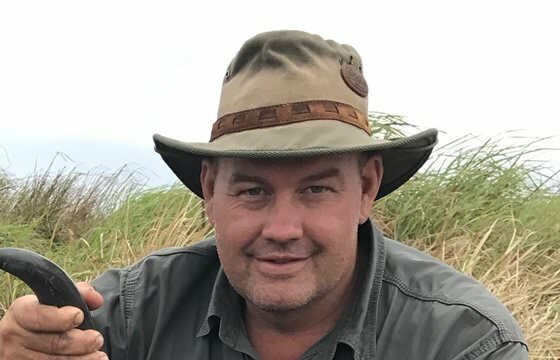 He became a PH in 1999 and has hunted all across South Africa with clients, pursuing animals ranging from plains game to the Big Five. 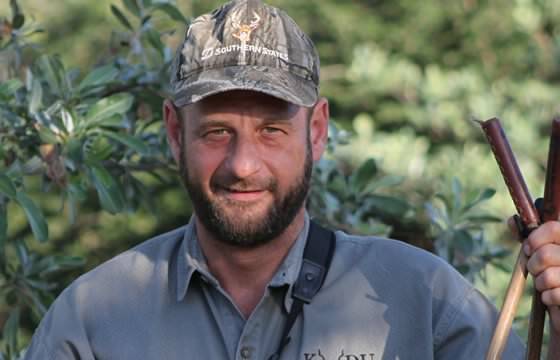 He has been featured in the African Hunting Gazette as the 3rd best PH in Southern Africa. 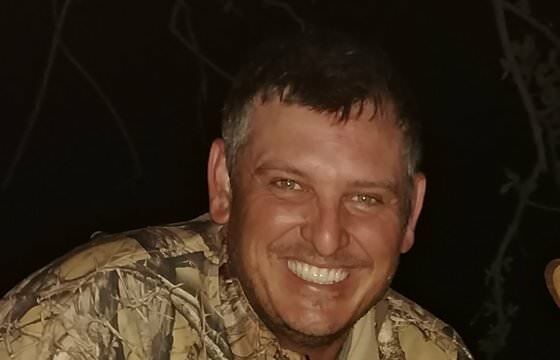 Zirk started professional hunting at age 21 in 1999, acquiring his Big Five license at 23 and hunting in neighboring African countries since 2006. Zirk has actively hunted for the past 19 years. 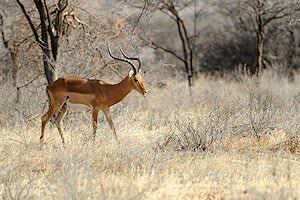 His specialties are small game animals like red duiker and suni, along with Cape buffalo, lion and leopard. Francois is dedicated to ethical hunting practices and has even been involved in anti-poaching operations. His key values include weapon safety, respect for nature and respect for the animal being pursued. 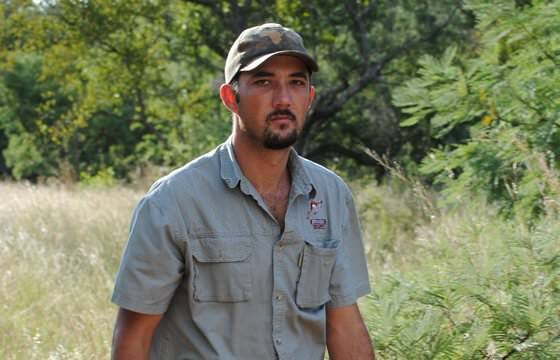 Francois also boasts experience in game farm management - an all round experienced professional hunter. 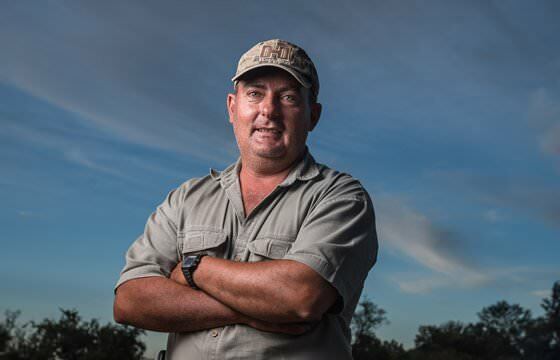 For Tinus, hunting is not a sport, not a job, not a hobby - hunting is in his blood. It is inherently part of his existence. He still gets excited about each hunt that he participates in, from the plains game of Africa to the majestic Big Five. 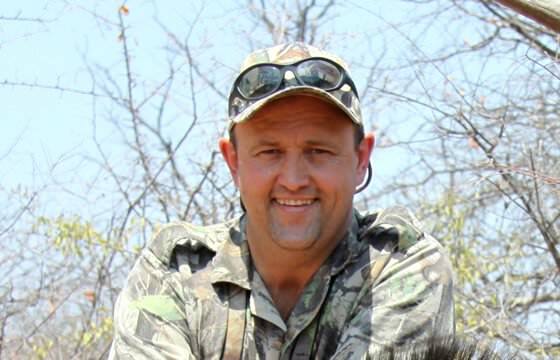 Tinus enjoys putting his passion to use by ensuring that every client has an unforgettable hunt. Jess is a seasoned Professional Hunter with over 20 years of professional game hunting experience hunting across several continents. 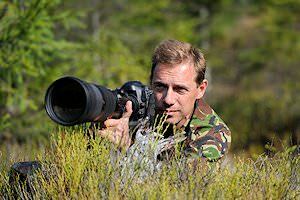 His philosophy and efforts center around offering the client the highest quality safari adventure, be it gun or camera, and tailored to that individual’s skills and needs. Jaco grew up on his father’s game ranch and began hunting at a young age, first with air rifles for birds and then upgrading to larger species of game. As he became older, he began taking local hunters out on safaris, eventually acquiring a diploma in nature conservation and his PH's license. Jason is a 5th generation Big Game Hunter. He was raised on a farm in the Free State and began accompanying his father on family hunts into Northern Zululand when he was 3. He started his professional hunting career at 18. 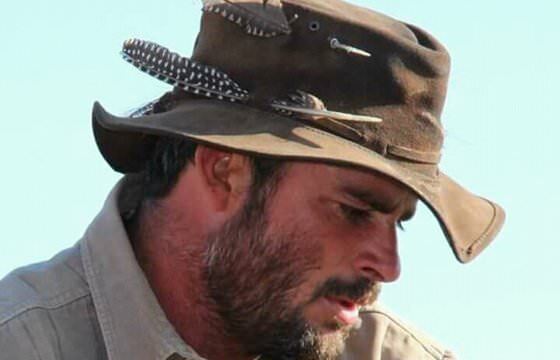 Jason now conducts Big Five, plains game, and wing shooting hunts across Southern Africa. With so many successful hunts and happy, satisfied clients over the years, our record really speaks for itself. For information on what kind of quality to expect from your hunting experience with ASH Adventures, have a look through our client reviews and testimonials. We are also able to provide references of past clients from your part of the world if you'd prefer to hear it directly from the horse's mouth! 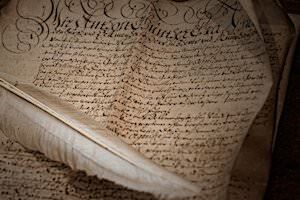 The questions most frequently posed by our potential clients are addressed in this section. We cover the logistics of your hunt as well as queries about rifle importation, recommended calibers, etc. We understand that when you are traveling halfway across the world for a true adventure, a great deal of knowledge is warranted. If any of your queries are not answered here, do not hesitate to reach out to us. Understanding the terms and conditions of your hunt are essential to peace of mind and proper planning, and being prepared for any potential difficulties if you should need to cancel or postpone. Read through the terms and conditions to understand our cancellation procedures, legal responsibilities and payment requirements. If anything should be unclear to you, feel free to reach out to us for clarification. The areas in South Africa to which we offer safaris are the Bushveld region, the Lowveld in the northeastern part of South Africa as well as the Free State, an area of highlands located in central South Africa. Some of our hunting trips also visit the Kalahari in the northwestern part of South Africa. On special request, safaris are offered in the Southern African countries of Zimbabwe and Namibia. 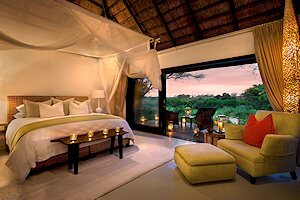 In each area, we make use of a couple of centrally located hunting camps near the various concession areas in which the hunting safaris are conducted. These camps range from very comfortable to luxurious, with all modern amenities always available. Meals are prepared to the highest standard and well-trained camp staff ensure that rooms are serviced and that a daily laundry service is provided. The team at ASH Adventures strives for professionalism at all times. We do not cut corners by employing inexperienced youngsters and our professional hunters are acutely aware that the positive outcome of the hunt and our client's satisfaction come first. While your enjoyment throughout your hunting adventure is essential, we take the success of your hunting experience very seriously. ASH Adventures has been offering unforgettable African hunting expeditions for around two decades. Both our office team as well as our professional hunters are seasoned in all hunting practices, from planning the perfect hunt to ensuring your success out in the field. We've chosen to employ individuals with passion for their pursuits along with solid hunting records to back up their reported prowess. ASH Adventures offers a wide range of trophy animals to pursue in a great variety of areas, ranging from the stark Namib Desert to the dense Matetsi wilderness in Zimbabwe. Whether you are looking for an impressive plains game specimen to add to your collection or are ready for the heart-pounding pursuit of an elephant or lion, an extensive list of species are available for hunting.